Created in 2011, retired in 2014, Thread.ly took a glance at the banal world of RSS news readers and decided to approach things a little differently. 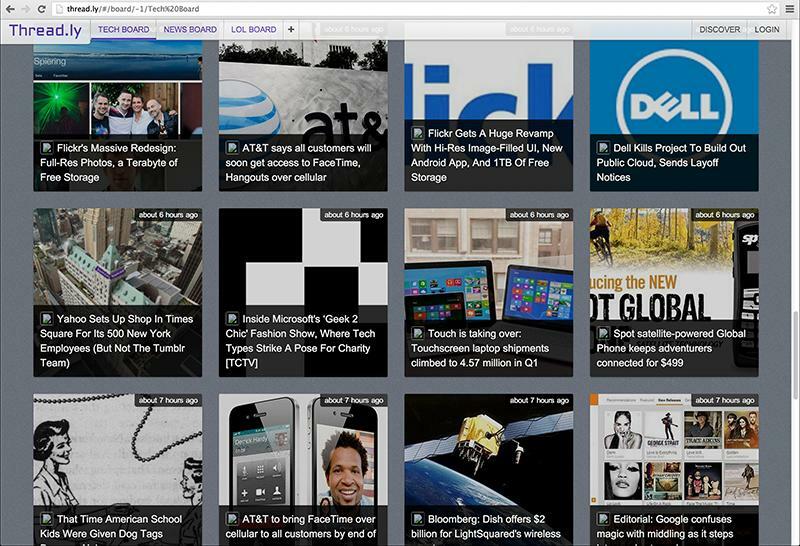 Thread.ly displayed your news feeds in a refreshing visual board that could be categorized to your preferences. Thread.ly also scoured RSS feeds and user provided data to suggest feeds from similar categories, expanding your resources and optimizing your daily news reading experience.